But a Correctional Services spokesperson says Sergeant Fanie Mogotji was suspended for ‘bringing the department into disrepute’. 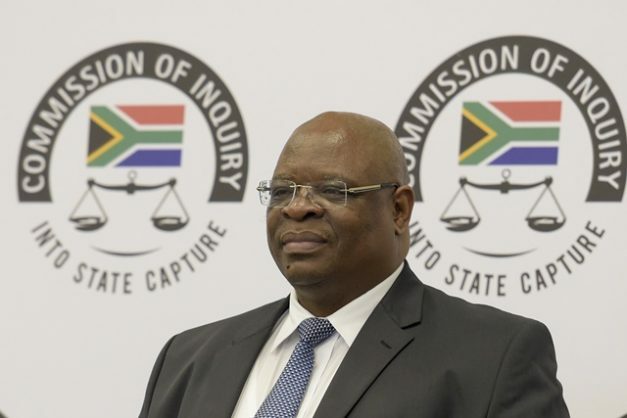 A correctional services officer claims he has been targeted for opening a criminal case against those implicated in the Bosasa bribery scandal in evidence before the Zondo Commission of Inquiry into State Capture. Fanie Mogotji, a sergeant based in the Johannesburg management centre, said it was no coincidence that he had been suspended barely a week after opening the case and that he has gone into hiding as he feared for his life. Mogotji said he opened a fraud and corruption case against 18 people at Mondeor police station on February 20. The 18 included current senior and former correctional services officials, several of whom were implicated by witnesses at the commission. On February 26, he received a letter asking him to explain why he should not be suspended. The commission has heard shocking testimony of how Bosasa, now African Global Operations, bribed senior government officials and politicians to secure billions of rands worth of tenders from the department. In his sworn statement submitted to the police, Mogotji said the implicated officials “have been seen at Bosasa offices and it is suspected they are covering their tracks by destroying evidence. He attached the sworn statement of former Bosasa chief operating officer, Angelo Agrizzi, who spilled the beans, as evidence. Police spokesperson Captain Lorraine van Emmerik confirmed the case had been transferred to the Gauteng investigative unit. Correctional services spokesperson Singabakho Nxumalo said Mogotji was suspended for bringing “the department into disrepute”. He said the notice of precautionary suspension issued to him was in line with the rules of administrative justice.